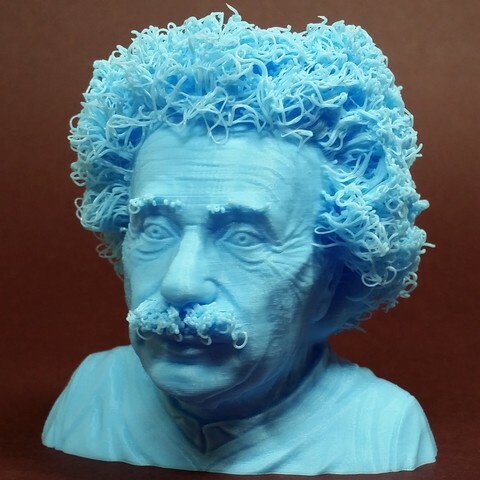 One of our favourite hairy 3D prints is Hairy Einstein designed by Print That Thing. 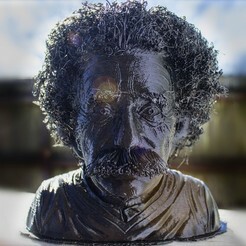 Great physicist Albert Einstein looks very real after Jwall remixed this model. 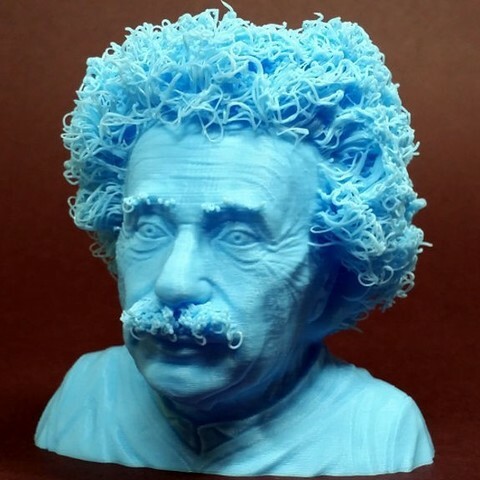 It took us a while before we became brave enough to print it as this model looks quite weird in the slicer software. There are a lot of bridging without attachment points. This in practice produces curls. 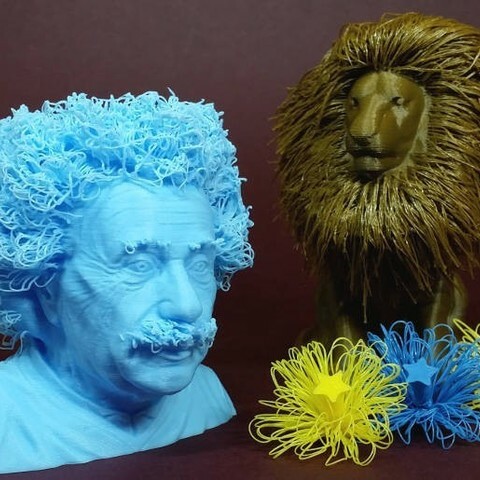 Make for #BCN3DCULTS Makes Challenge.